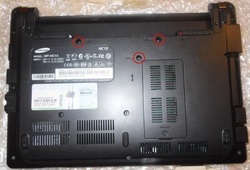 Specification: This is a Brand New Samsung mini laptop NC10 Series US Keyboard. 1. 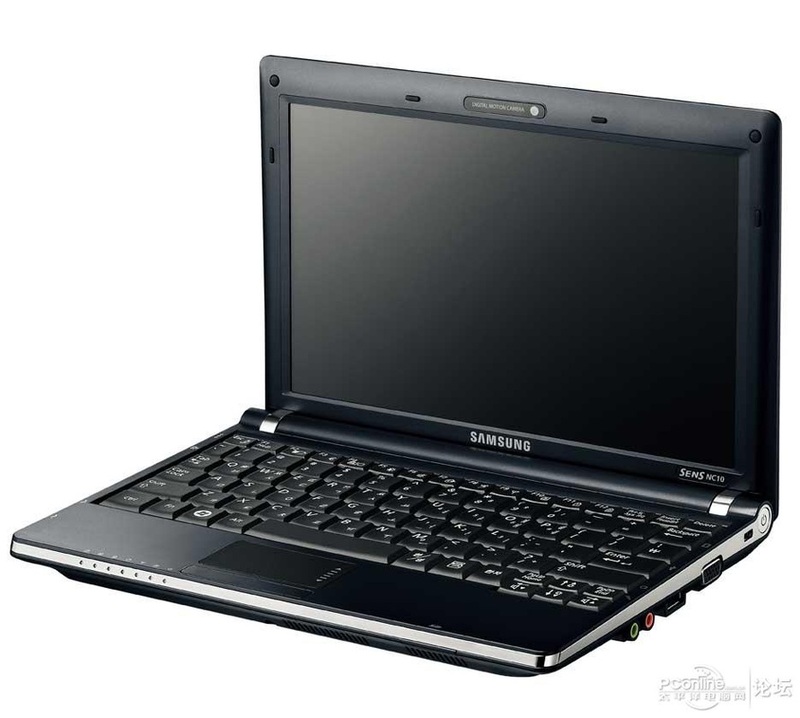 Turn off your Samsung NC10 laptop. Remove the battery and disconnect the power adapter. 2. Turn the laptop upside down. It is recommended that it is placed on something soft so as not to scratch the lid. 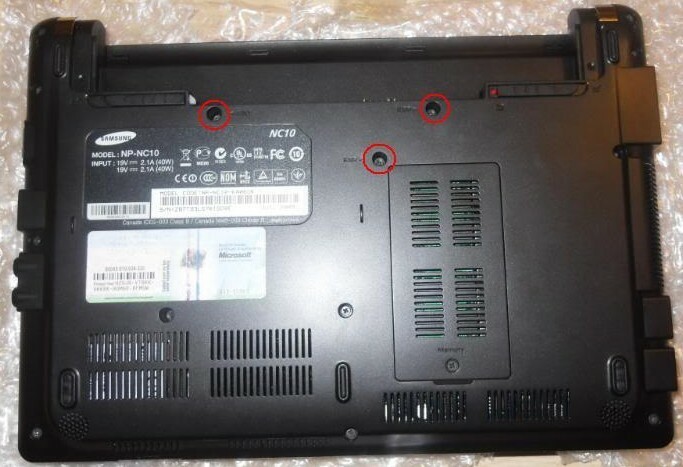 Remove the three screws labelled KBD and circled in red in the image below. 3. Turn the laptop back over and open the screen. 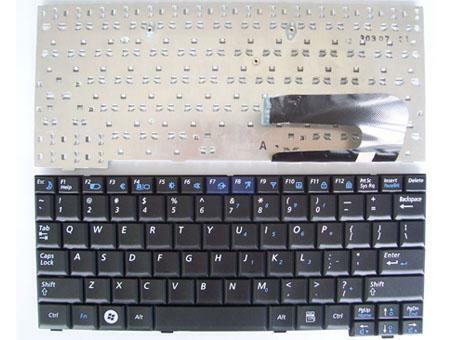 Now pry at the top of the keyboard (the part closest to the screen), there may be some resistance due to some sticky pads and/or clips which hold the keyboard in place. 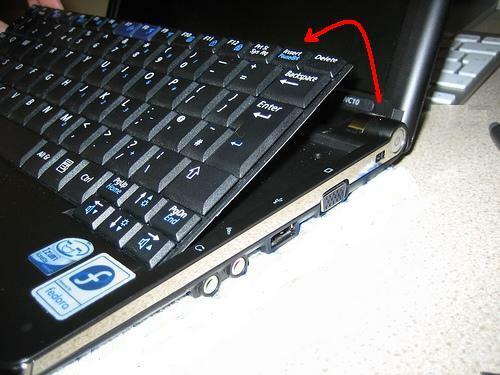 Rotate the Samusng NC10 keyboard up 90-degrees and lay it on the palm rest. 4. 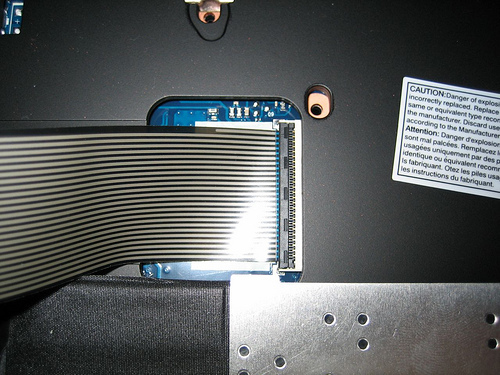 Discennect the ribbon cable from the motherboard. This is done by pivoting the black connector upwards, the ribbon cable should then come loose. Now you can remove the Samsung NC10 keyboard. 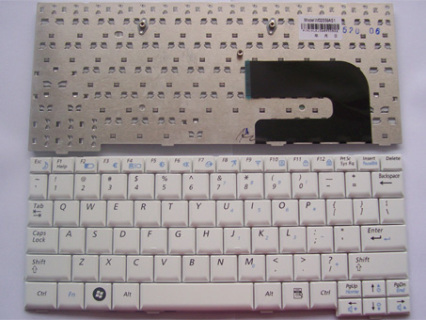 Reverse the procedure to install the new Samsung NC10 Keyboard.